muscle cramping, muscle twitching (fasciculations), difficulty swallowing, breathing, and walking, choking on saliva, and losing her voice. She went to a second doctor who confirmed her diagnosis. To be absolutely sure of her diagnosis she traveled to a neurologist in Salt Lake City who had experience with ALS and had a third confirmation of her ALS diagnosis. The neurologist told her she might live until Thanksgiving, only five months away. Hoping for a miracle she tried to find someone who had any kind of treatment that might work. 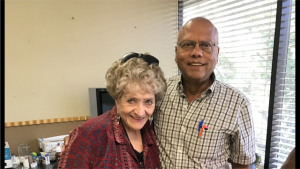 Through her doctor in Las Vegas Nevada she learned of a homeopathic treatment from Germany that had apparently worked for some ALS patients in Germany. She agreed to try it and traveled 900 miles round trip once a week to get the treatments—injections which mixed her blood with the homeopathic remedy. She was also told to eat only whole foods and not consume meat products during the treatment period. After 10 weeks of homeopathic treatments and 9000 miles of driving she still continued to get worse. Walking was extremely difficult, she could no longer eat in public and regularly choked on her food. People were having so much trouble understanding her speech that she looked for a voice board to communicate. After 10 weeks of treatments Joyce’s doctor went on vacation for a week. She got so much worse the week with no treatment that she convinced the doctor to continue treatments when he returned. All of this time Joyce continued to pray. She had a near death experience several years before her ALS diagnosis and had felt close to God since that time. Joyce also knew that thoughts affected the body and so did not want to think anything that might affect her body in a negative way. She recited positive phrases out loud over and over again throughout each day to keep her mind positive. In addition, each night Joyce put on headphones during sleep listening to “sleep teaching”–her recorded voice repeatedly saying positive statements. Joyce also decided to no longer attend ALS support groups during her treatment because they focused on how much everyone was deteriorating and what to expect with physical decline, instead of on what one could do to slow, stop or reverse the ALS progression. She did not want any negative thoughts entering her mind. Joyce also saw a spiritual counselor and realized that in case she died she needed to forgive everyone in her life she felt had wronged her, including herself. She also asked God to bless her life. 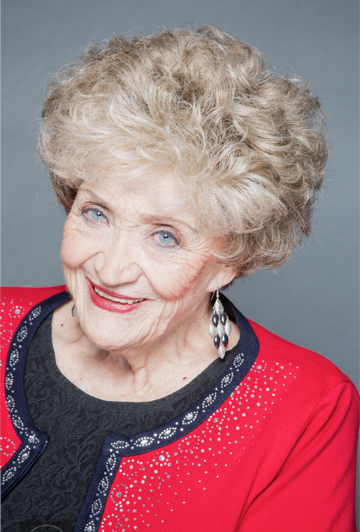 Looking back on this, Joyce feels forgiving herself and others was a key part to her healing. Joyce continued to pray to heal, although she prepared in case God had other plans for her. She continued her weekly homeopathic injection treatments. described it felt like grey smoke lifting off of her. From that moment she felt different and when her husband came home that day he said she looked different. She no longer felt like she was choking. In the coming weeks Joyce’s muscle wasting stopped progressing. Her doctor tested her and said her ALS was gone. She continued to gain strength over the next few months, although her muscle mass never completely returned. 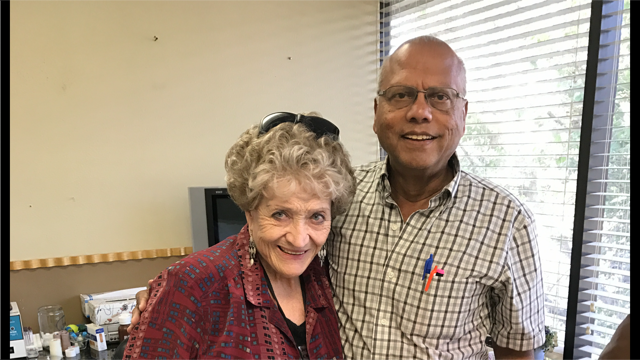 After more time, Joyce’s voice finally recovered completely. Today Joyce is almost 84 years old, lives on her own and stays active. She has had life challenges and other health problems including two bouts with macular degeneration which have affected her vision but her ALS symptoms have never returned in the past 29 years. 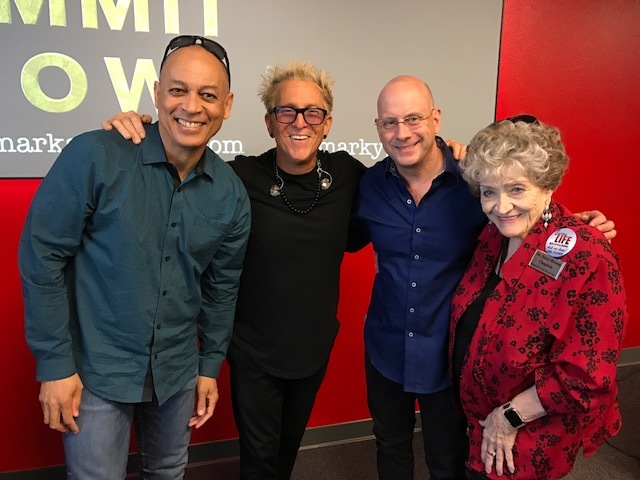 Joyce is founder and president of Stress and Greif Relief, Inc., a 501(c)(3) nonprofit organization—helpstopsuicide.org, where she administers a suicide prevention lifeline (800-734-3439). 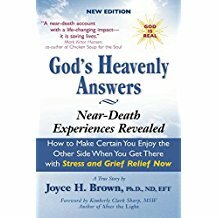 Joyce’s book in which she describes her near death experience before she was diagnosed with ALS is called God’s Heavenly Answers by Joyce Brown, available on Amazon.